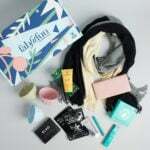 Rocksbox Coupon – $10 Off Gift Subscriptions! Last Day! Rocksbox Coupon – $10 Off Gift Subscriptions! Rocksbox Cyber Monday Deal – First Month FREE & $15 Credit! Rocksbox Exclusive Black Friday Deals – $10 Off Gift Subscriptions + First Month FREE & $15 Credit!